A Pair of Diamond set hoop earrings featuring baguette and round brilliant cut diamonds. A signature styled pair of Baguette and Round Diamond hoop Earrings. The Round Brilliant cut Diamonds complement the precision cut Baguette Diamonds, which together have been set expertly in the channel setting. Distinctive in their design these earrings hold a total 0.55cts, 12 x Baguette cut Diamonds and 10 x Round Brilliant cut Diamonds. The finished design is available in several metal finishes, to meet your personal preference. These can be selected from the drop-down menu on this page. 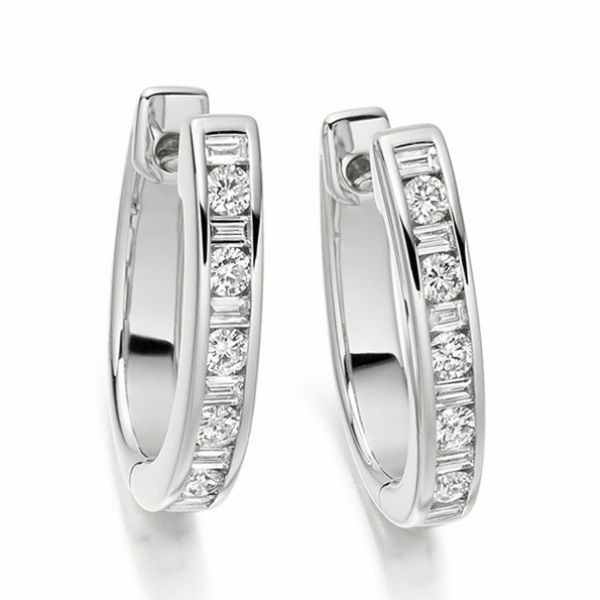 These timeless earrings are crafted with meticulous attention to detail, so please allow 4 weeks for delivery. 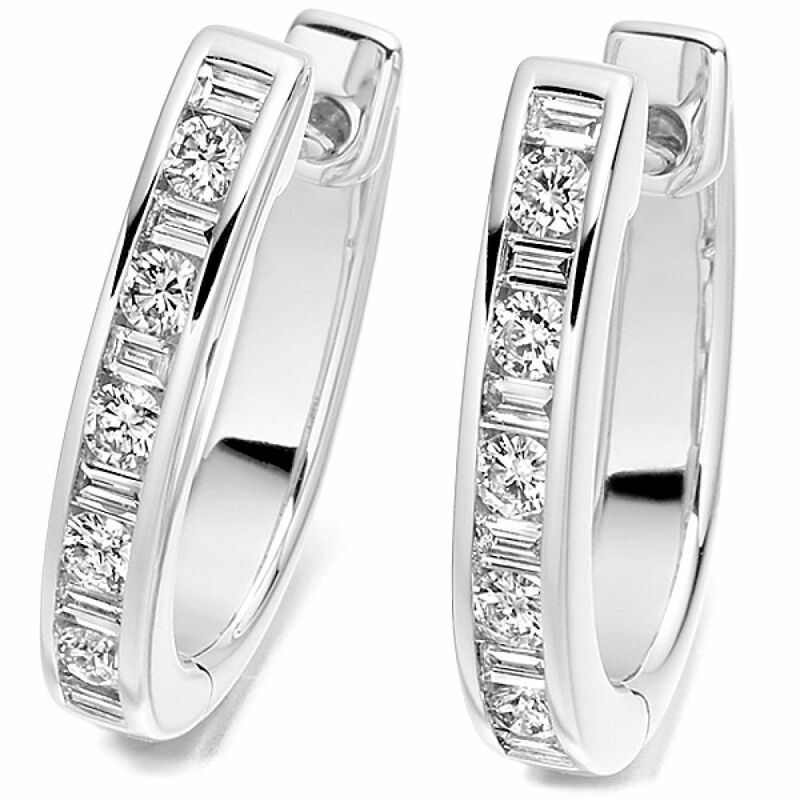 Upon completion, your earrings will arrive beautifully presented, ready to be worn and enjoyed daily.